Mondays are rubbish! Am I right? I'm definitely not the biggest fan of Mondays, the weekend seems so far away and it's hard not to get completely lost in the Monday blues. Before we throw ourselves a pity party I have something to tell you that is bound to improve your Mondays! Steak and Wine Night at 97 & Social in Newcastle! Monday might not seem like the most obvious night of the week to indulge in an evening out but giving yourself something to look forward to on a Monday is a great way to pull yourself through that difficult first day of the week. 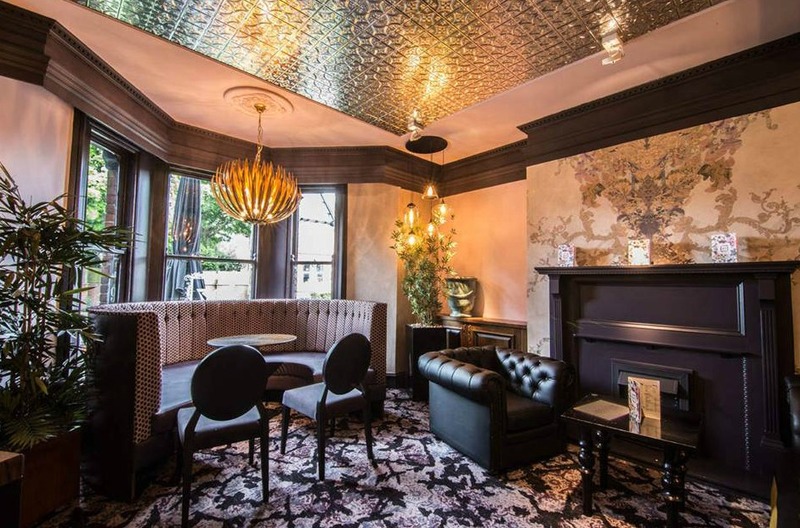 You'll find 97 & Social on Osbourne Road in Jesmond, home to the most amazing cocktails, creators of the epic Tipsy Tea and hosts of Newcastle's ultimate pub quiz nights - these guys know how to host the most amazing evenings and their Steak Night is the best way to begin your week. 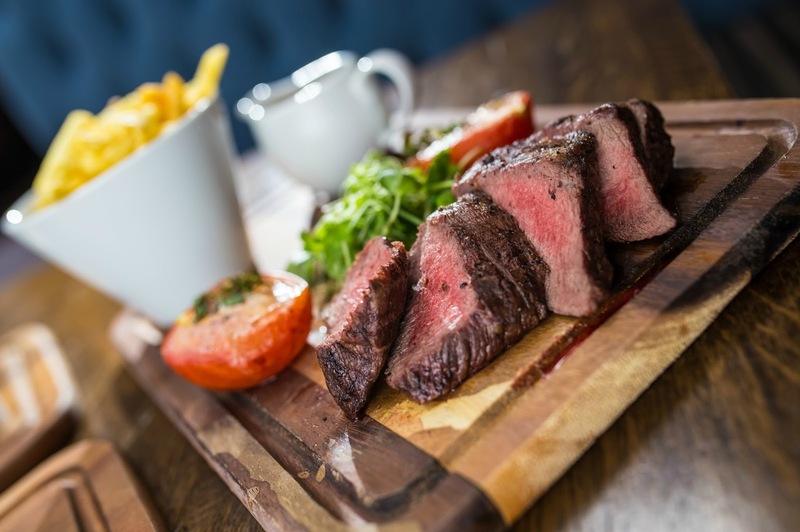 Steak and Wine Night at 97 & Social happens every Monday and offers the ultimate deal for the foodie - a Flat Iron Steak and Fries with a glass of wine or a pint for £12.00. Yes I did just say £12.00! Crazy right? Too good to be true? Last Monday I headed down to 97 & Social to check out the deal for myself. Joined by my lovely friend Nyomi we settled ourselves down for a night of steak, gossip and a cheeky glass of wine! Looking at the menu a Grilled Flat Iron Steak with fries will usually set you back £13.50 (without a drink! ), so Steak and Wine Night on a Monday is a definite bargain. I was very intrigued to see if I could get a decent steak dish at such a cheap price! I am a huge fan of steak and I'm not easily impressed. My steak has to be served pink, needs to be really tender and I hate fatty cuts of meat. Flat Iron steak can be notoriously tough so I knew that 97 & Social had a challenge on their hands impressing me! I asked our server if my steak could be served medium rare and I will admit I wasn't expecting much, surely such an amazing deal would mean a below standard steak! Our meals turned up and we were very impressed with their presentation, beautifully displayed on wooden boards the meat looked so pink and tender and the delicious smell was making our mouths water in anticipation. If we thought our meals looked good that was nothing compared to how they tasted. I was honestly completely stunned by how good my steak was - my knife cut through it like butter it was so tender, it was the perfect shade of pink and it tasted heavenly. We both drowned our steaks in Peppercorn sauce and greedily dipped our fries in the left over juices, not quite believing that such an amazing deal could taste so good! I will, without doubt, be returning to 97 & Social for their Steak and Wine night, I'm actually quite tempted to go there every Monday for my dinner - surely the perfect way to tackle the start of the week. We were treated to a complimentary meal for two in exchange for an honest review. Apologies that I haven't included my own photographs in this review, the cosy lighting of the restaurant was too much of a challenge for my amateur skills! Thanks again for taking me along. I had a lovely evening! Such a good deal. looks like a brill offer and the steak looks great! I love a good steak and those pics of yours look delicious. I haven't had a good steak in ages, that looks soooo good its making my mouth water!